“I bought this banjo at Pick ‘n Grin in Knoxville, TN in 1987. Bud Brewster and Glen Laney were working the store that day and both were involved in the set up of the banjo. At that time, it was in the form of an original RB-100 with a 4 hole archtop tone ring configuration with a heavy Ode tailpiece. As a mid sixties 100, it had a thin black rim that the archtop tone ring sat on well and with Bud and Glen’s set up one knows it would sound really good. As I recall the original price at that time was $450.00. I also traded a late 70s Aria Pro II ‘vines of life’ flat head banjo with a small amount of cash. This banjo sounded really good for both bluegrass and clawhammer and was my main banjo from 1987 to the mid-ninties. In the mid-nineties, I decided that I wanted to swap out the archtop ring for a flathead. 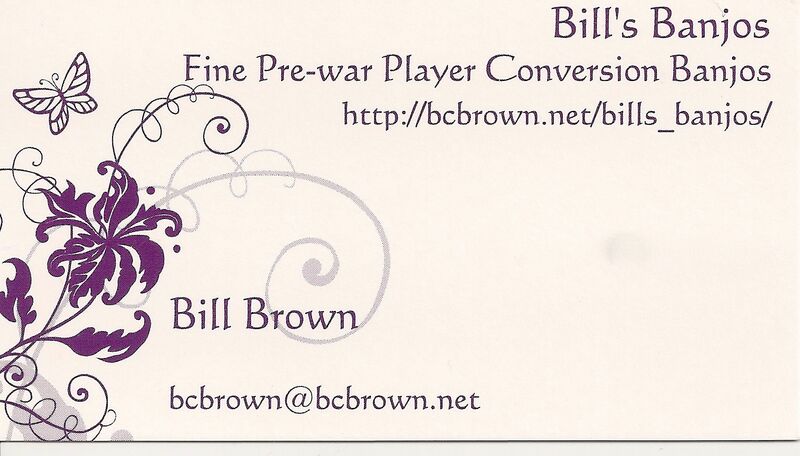 I sent the pot to Mr. Bill Sullivan of First Quality Music in Louisville for the conversion. We discussed that there would be a bit of a hangover on the thin rim and that would possibly affect the tonal quality. As it turned out, the sound with the Tennessee 20 tone ring on this rim was not what I was looking for and of course, the rim had been cut down for the archtop ring so I could not put that ring back. 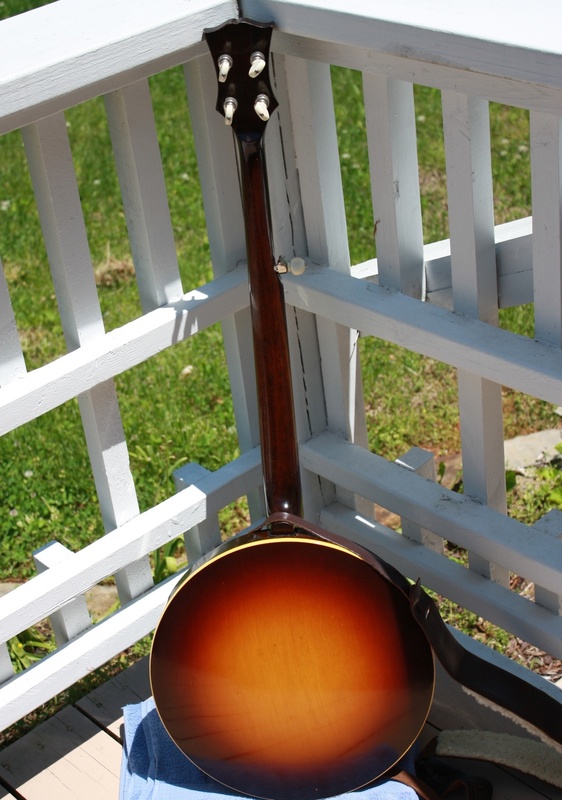 Luckily, I had bought a mid sixties RB100 uncut rim from Wyatt Fawley of Greensboro, PA a bit earlier and so I installed that rim along with a ¼” tone hoop (as per the original RB100 configuration) and the banjo was back to ‘as original’ and I maintained that until 2004. In 2002, I had bought a Huber Vintage gold plated tone ring from Greg Brown of Georgia and since I was living in Kentucky at that time with Frank Neat being located in the next county to the East, I took the banjo to him and asked that he install this ring with a Cox rim. This produced an excellent bluegrass banjo and I kept this configuration for a couple of years. During my stay in Kentucky I met Arthur Hatfield around 2002 or 2003. In 2004, I took the banjo to him for a new neck an resonator. 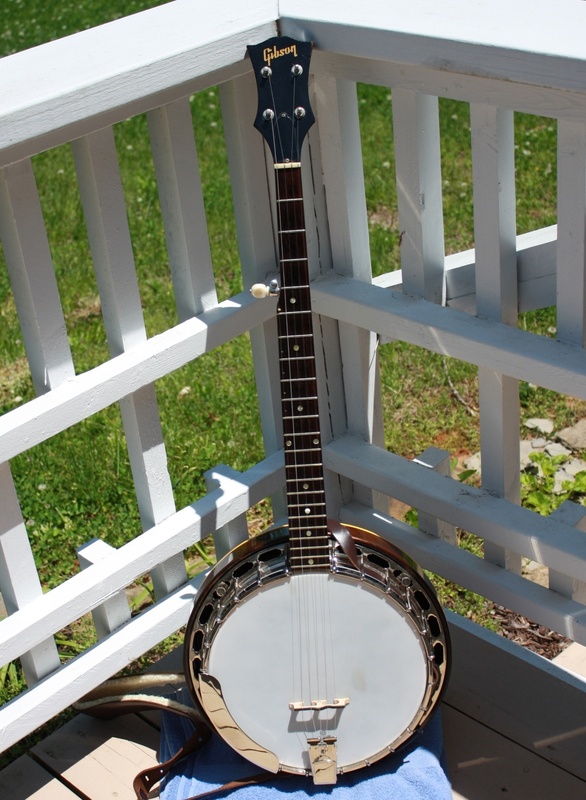 Everything was used except the neck and the resonator and this banjo may be seen as the Gibson RB-3 Parts Banjo. I was left with the RB-100 neck and resonator. As with most tinkerers, I decided to have a pot produced for this to see what kind of quality banjo could be produced. Arthur produced a pot using a Cox rim, one of his long skirt 20 hole flat head tone rings, and Prucha hardware – a pot similar to one of his banjos. This has produced a very high quality ‘parts’ banjo and one capable of being played in any professional setting.